The average North American child can identify over 300 corporate logos, but only 10 native plants or animals – a telling indictment of our modern disconnection from the natural world. Even though children are born with an innate interest in nature, our society does little to nurture this predisposition. It is largely for this reason that Jacob Rodenburg, Executive Director of Camp Kawartha, and I decided four years ago to sit down and write a book to help address this problem. We begin the book by discussing the disconnection from nature that characterizes so much of modern society. In an increasingly urbanized world, our children are much more likely to experience the flickering a computer screen or the sounds of traffic than the rhythmic chorus of bird or insect song. And sadly, they can more easily identify corporate logos or cartoon characters than even a few tree or bird species. We therefore ask the questions: Where will tomorrow’s environmentalists and conservationists come from? Who will advocate for threatened habitats and endangered species? What are the impacts on one’s physical and emotional well-being from a childhood or adulthood spent mostly indoors? We then go on to discuss some of the consequences of what the environmental educator Richard Louv calls “Nature Deficit Disorder”. The activities, species and events in nature, which are described in the book, cover an area extending from British Columbia and northern California in the west to the Atlantic Provinces and North Carolina in the east. This includes six ecological regions such as the Marine West Coast and the Eastern Temperate Forests. In other words, the book applies to most anywhere in North America where there are four seasons. 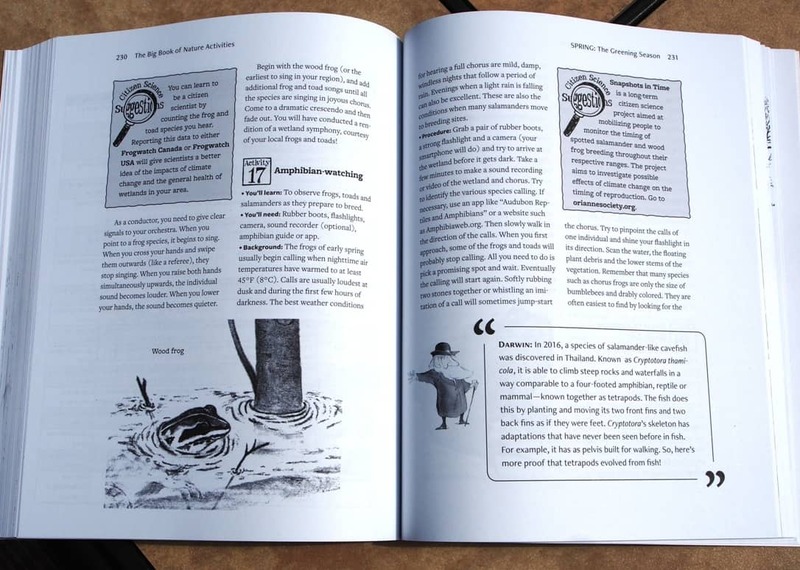 The introduction also provides ideas on how to raise a naturalist (hint: take your kids camping! 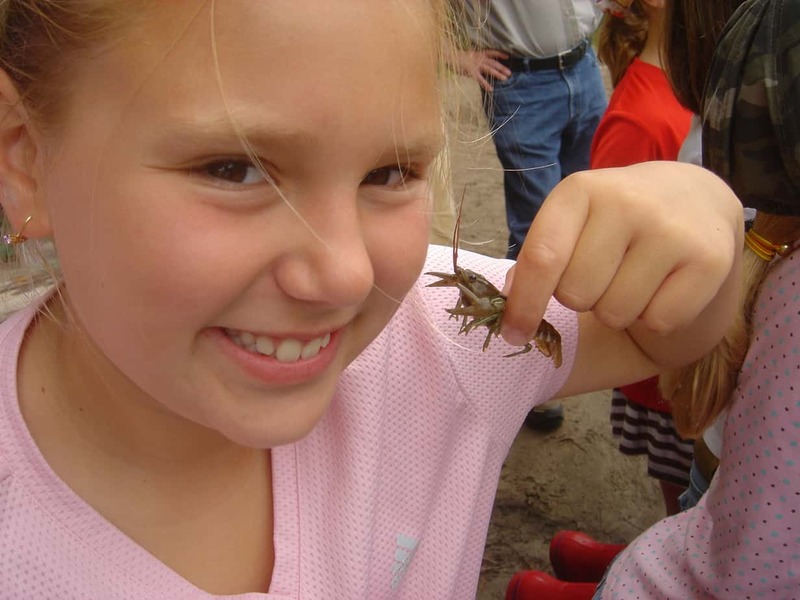 ), how to get kids outside, how children of different ages respond to nature, how nature can enhance our lives as adults and the importance of being able to identify and name the most common species. We provide lists of 100 continent-wide key species to learn – everything from birds and invertebrates to trees, shrubs and wildflowers – as well as about 50 key regional species. 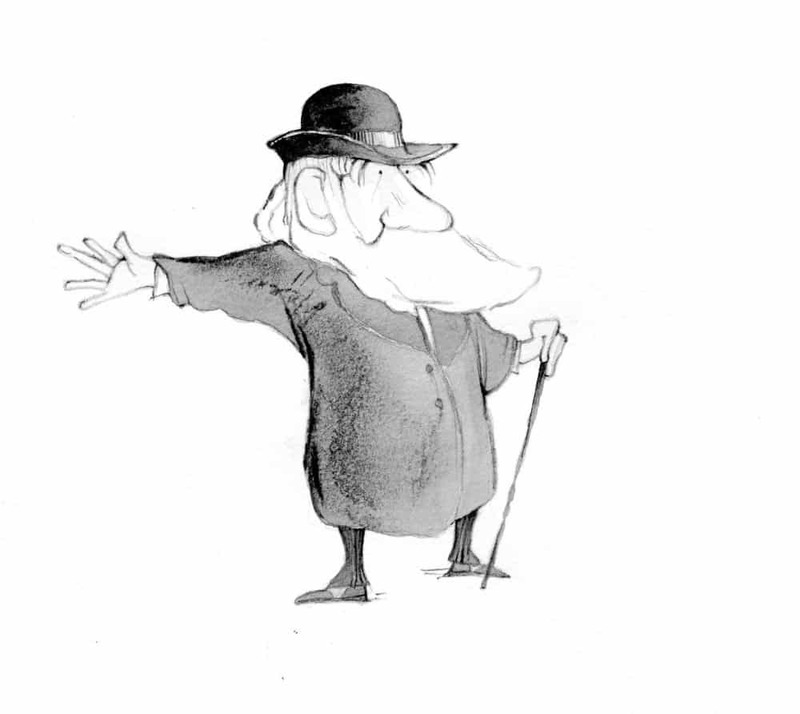 We also introduce the reader to three cartoon characters, namely Charles Darwin, Carl Sagan and Neil DeGrasse Tyson who will tell stories of the wonder of evolution and the universe throughout the book. Connecting to nature is easier when you have learned some basic skills. In this section, we provide hints for paying attention (be patient and slow down), how to engage all the senses (learn to maximize your sense of smell), how to lead a nature hike (have some “back-pocket” activities ready to go), nature-viewing and traveling games from a car or school bus (do a scavenger hunt), how to increase your chances of seeing wildlife (try sitting in one place), how to bring nature inside (set up a nature table), how to get involved in “citizen science” (start at scistarter.com) and how to connect with nature in the digital age (make the most of your smartphone and social media). The latter section is especially detailed. Although it might seem counter-intuitive, there are actually many ways in which digital technology can inspire people of all ages to explore nature and share their experiences with others. 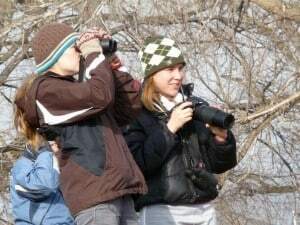 We also provide information on the basics of birding; insect-watching (butterflies, dragonflies, damselflies and moths), plant identification, mushroom-hunting, getting to know the night sky, nature journaling, nature photography, and nature-based geo-caching. Additional basic skills are covered in the activities in the seasons chapters themselves. These include fish-watching, mammal-watching, amphibian- and reptile-watching and tree identification. The book explains the basics of evolution and natural selection, without getting into the details of genetics. We then provide a story for young children on how evolution might work within a population of imaginary sand bugs. For older children and adults, we go on a “field trip of the imagination” in which we visit our ancestors, starting with our self, our grandfather, our great-grandfather, etc. 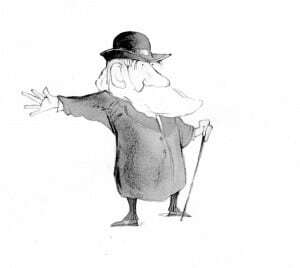 and ending up at our 185-million-greats-grandfather who, by the way, would have been a fish! This section concludes with a shortened version of Big History, the evidence-based story that takes us from the Big Bang to the present, in which we humans are “star stuff pondering stars”. ideas about what to photograph or record in your nature journal; a short seasonal story called “What’s Wrong with the Scenario” in which you try to spot the mistakes; the story of Black Cap, the Chickadee, which takes you through a year in an individual chickadee’s life and includes activities; and ideas for what to do at your Magic Spot, a special nature-rich area close to home. The final and largest section of the seasons’ chapters is called “Exploring the season: Things to do.” It comprises 50 or more activities to activate your five senses, keep track of seasonal change, explore evolution, and have fun discovering fascinating aspects of birds, mammals, reptiles, amphibians, fish, invertebrates, plants, fungi, weather and the night sky. We also offer up suggestions on how to make nature part of seasonal celebrations like Thanksgiving. Some of the activities include making a scent cocktail and touch bag, using a roll of toilet paper to create a history-of-life timeline, meeting the “beast” within you, a non-identification bird walk, a woodpecker drumming game, mammal-watching with a trail camera, observing spawning salmon, a frog song orchestra, exploring seaside beaches and tide pools, a “bee dance” drama game, conducting a pond study, “adopting” a tree to observe over an entire year, dissecting flowers, a fungi scavenger hunt, a classroom “hand-generated” thunderstorm, going on a night hike, making tin can constellations, creating your own moon phases, celebrating the winter and summer solstices, ideas for Earth Day, and more. Scattered throughout the activities are suggestions for getting involved in citizen science projects. The book concludes with an appendix with blackline masters for photocopying and a detailed index. Sixteen pages of colour photos that link to some of the activities. The book also contains several hundred drawings, most of which were done by talented Lakefield artist, Judy Hyland. 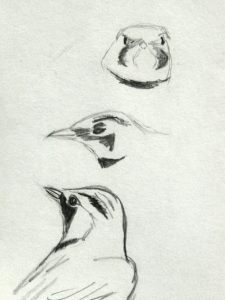 Others were contributed by Kim Caldwell, Kady MacDonald Denton, Jean-Paul Efford and Heather Sadler (drawings by her late father, Doug Sadler). In the middle of the book, you will find a 16-page block of colour photos by the authors and others. “Tonight, I’m going to tell you the most amazing story you’ve ever heard. And, even better, it’s true. The story is based on everything that science has discovered. Remember, science is the tool we use to find out what’s really true about the world around us. 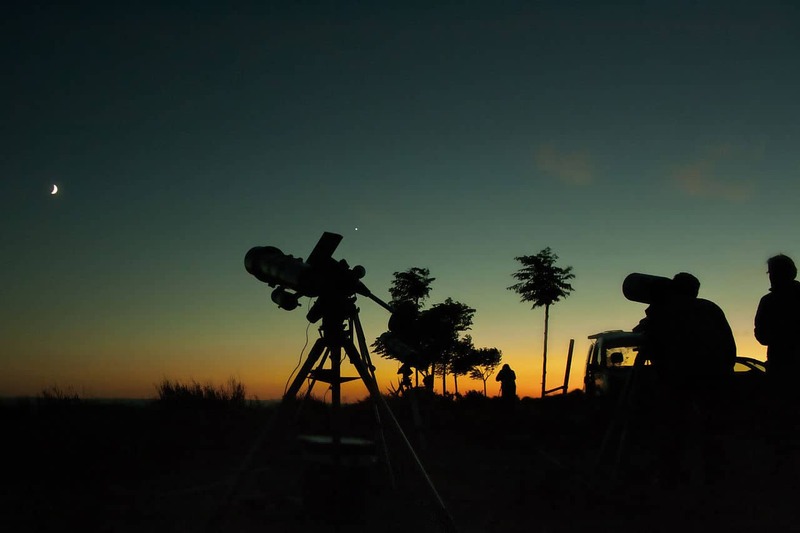 Let’s begin by looking up at the sky and at all those stars. It’s a big Universe out there. Bigger than you or I can possibly imagine. If you’re like me, you can’t help but wonder how and when all of this began. How and why are we here? 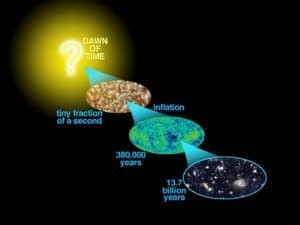 This story takes place over 14 billion years, which is an incredibly long time. It would take five human lifetimes to count to 14 billion. So, to make this easier, we’re going to imagine that the story is squeezed into one calendar year. In other words, the story will begin on January 1 and end on December 31. Let’s get started… In the beginning, there was nothing. There were no humans, no dinosaurs, no rocks, no stars and not even space or time. It’s hard to imagine, isn’t it, but it’s true. Then, all of a sudden, there was a flash of very bright and very hot light. It was like an explosion, but brighter and more powerful than any explosion you or I could ever dream of. It was called ‘The Big Bang’ – the time when the Universe was born. It was January 1 on our time scale. At first, all there was heat and light. But, as the Universe began to cool, clouds of tiny particles called atoms began to form. These were the atoms of hydrogen – the main component of water – and helium – the gas we use in party balloons that float on air. Eventually, gravity started compacting these clouds of hydrogen and helium atoms. The temperature at the centre of each cloud grew higher and higher until, suddenly, there was a huge release of energy and Boom! – we had our first stars. Billions of them across the Universe. On our calendar, we are in mid-January. Now, stars are like people; they are born and eventually die. When very large stars die and explode, they are called supernovae. They become so hot and their gravity so strong that the helium and hydrogen atoms are actually squeezed into new kinds of atoms like oxygen, iron, carbon and even gold. If you are wearing gold jewelry, the gold was made in a supernova explosion. So were all the other atoms in your body except hydrogen. These atoms include the calcium in your bones, the iron in your blood and the oxygen that binds with hydrogen to create the water that you drink. Take a moment to think about what I just said. These old stars were actually our ancestors. They had to exist so that we could be here. We are made of their dust – stardust! Doesn’t knowing this make you feel like the Universe is a more wonderful place to live in? Now, with all these different kinds of atoms swirling around younger stars like our Sun, they eventually combined to form asteroids, comets and planets. This is how our solar system and our Earth were formed four and a half billion years ago. On our time scale, we’ve jumped all the way to early September. As the new planet Earth began to cool, rain fell for the first time and gathered into oceans. Beneath these oceans, at cracks in the ocean floor, heat seeped up from inside the Earth. New chemical reactions began to take place and atoms combined in all sorts of new ways. Some of these combinations were able to make copies of themselves and to eventually form an amazing chemical (molecule) called DNA. It’s the molecule in the genes of all living things. Scientists believe that this is probably how life began. Some think life may also have travelled here from another planet, maybe even Mars. On our time scale, we are now in mid-September. One of the most amazing things about DNA is that it’s not perfect. When it copies itself, mistakes sometimes occur. A mistake can have a positive effect, a negative effect or no effect. A positive effect, for example, might give a bird a bigger bill than other members of its species and therefore allow it to survive more easily. This new trait, which will be passed on to its young, can eventually result in whole new species. We call this evolution. For most of the time of life on Earth, living organisms were very simple. Like present-day bacteria, they were made up of a single cell. However, these cells were still quite complex. 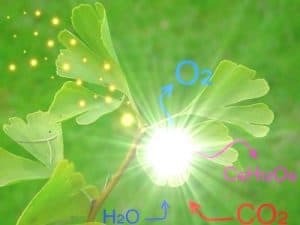 Early plant cells, for example, evolved the ability to use the sun’s energy to make food through photosynthesis in which sunlight, water and carbon dioxide (the gas we exhale when we breathe) are converted into sugar and oxygen. On our calendar, this happened in late September. Then, about 700 million years ago (around December 5), living things made up of multiple cells began to appear. In the oceans, animals such as sponges and jellyfish emerged. The first ancestors of insects appeared in mid-December, followed by the first fish. On December 20, the first plants colonized the land when algae (seaweed) evolved ways to survive outside of water. Some of these plants were able to grow into trees when changes in their DNA led to the production of sturdy wood in the stems. On about December 21, the first true insects appeared. Some, like dragonflies, have hardly changed since. Amphibians, like salamanders, evolved from fish that had developed the ability to crawl out of the water and breathe air. One of these, a fossil called Tiktaalik, was discovered in the Canadian arctic. It is part fish and part amphian. Next, reptiles like turtles appeared on the scene and, by Christmas day, the dinosaurs. The first mammals appeared December 26, the first birds on December 27 and the first plants with flowers on December 28. Occasionally, there were disasters. Sixty-five million years ago (December 30 at 6 am on our scale), a 10 kilometre-wide asteroid smashed into the Earth near Mexico. It caused winter-like conditions over the entire planet. For a long time, it was impossible for plants to grow. The dinosaurs were wiped out. Many of our mammal ancestors, however, managed to survive and to flourish in the habitats left empty by the dinosaurs. Through evolution, they changed into many different species. By late on December 30, some of these mammals had evolved into primates that lived in trees and evolved fingers and toes to hold onto branches. One group of primates, probably looking a little like today’s chimpanzees, learned to walk upright. 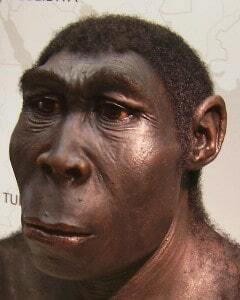 These were the first primitive humans. They appeared on December 31 – New Year’s Eve – at about 10 pm. Over time, because of changes in DNA and reasons that we’re just beginning to understand, the human brain tripled in size. With bigger brains, humans were able to develop language and became much better at learning, remembering and passing on information to the next generation. They adopted wolves, which became the dogs we know today. The dogs helped them hunt and provided protection. By eight minutes before midnight on December 31, these early humans looked almost identical to us. About 70,000 years ago, some humans left the plains of Africa and began migrating to new continents like Europe, Asia and North America. Each migration involved learning — learning new ways of dealing with their surroundings. Then, just 10,000 years ago (18 seconds before midnight) humans learned to farm. With all the food they were able to produce, the human populations got much larger and different groups of humans became more connected to each other. Written language was invented and humans learned to read. At two seconds before midnight, Christopher Columbus traveled to the Americas. In the last second of our time scale, all of modern history has taken place. With cars, airplanes, radio, phones and now the Internet, humans have become more connected than ever. This has allowed us to learn faster than ever, too. And, in the last 200 years, something else has happened. We stumbled on a cheap, incredibly powerful source of energy in the form of fossil fuels – coal, gas and oil. Fossil fuels and connected learning together explain the modern world we see around us. At the same time, however, burning fossil fuels is changing our climate and making our future less certain. It may be difficult to live as we are now in the climate that is coming. Nature is replete with beautiful vistas, vibrant colors, intriguing species, poetic moments and always the unexpected. It is wonderful to be able to capture some of these discoveries on paper and to reflect more deeply on the experience. Journaling is an activity that can help everyone – regardless of age – retain memories and impressions of nature for years to come. 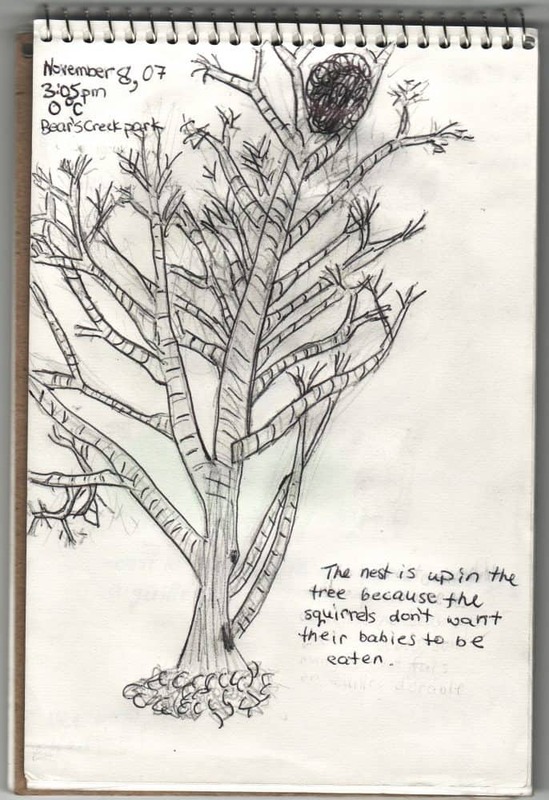 Nature journaling is simply the act of using words and sketches to record observations, feelings and thoughts about an aspect of nature that has caught your attention. It provides a wonderful opportunity to relax and spend time alone or with friends and family. The nature journal soon becomes a much-loved companion to all of your outings. Because the act of drawing requires focus, you end up seeing so much more. This is especially so for details such as colour, shape, texture and interesting behaviours. In this way, you remember an experience or sighting in greater detail than by simply taking a photograph. Even years later, clear memories of a special moment in nature come flooding back as you leaf through the pages of your journal. Rather than drawing as an artist, it is less intimidating to think of yourself as a scribe or reporter. This is not an art exercise, but something done for enjoyment. Think of a nature journal as a treasure hunt. You may wish to make detailed descriptions of your observations, or simple, point-form notes scattered around a drawing. Your notes can include questions about what you are observing, philosophical ramblings, personal reflections and favorite quotes or lines of poetry. You don’t even have to be outside. You can record the observations you make from a window or draw items collected on a walk (e.g., a variety of leaves) after you get home. You might also want to take some photographs and glue them in your journal as well. A small, hard-covered sketchbook with unlined paper works best. Buy a few 2B pencils (softer graphite for plants and birds) although any pen or regular pencil will do. You should also have some good quality coloured pencils and/or watercolour pencils, a small pocketknife for sharpening purposes and an eraser. Include the date, time (clock time or “early afternoon”), location, weather, approximate temperature and any other environmental conditions of note (e.g., birds singing, a certain smell in the air). Take no more than five to ten minutes for most drawings. Use point-form notes and arrows to briefly describe what you draw. Include any species names, if you know them. You might also want to include a measurement if it’s important for identification purposes. Know your thumb and forearm lengths for reference. Try to draw a mixture of ground observations such as things you can draw life size (e.g., a maple key), eye-level observations (e.g., entire plants or trees), things happening overhead (e.g., a soaring bird, clouds), and whole landscapes. The possibilities of what to draw are endless. To get started, focus on the commonplace and the near-by. You might also want to choose subjects that change over the course of the year. This can be as simple as a tree in your backyard or a distant vista. Nature journaling is a wonderful way to really get to know the place you live and the creatures that inhabit that space through the seasons. 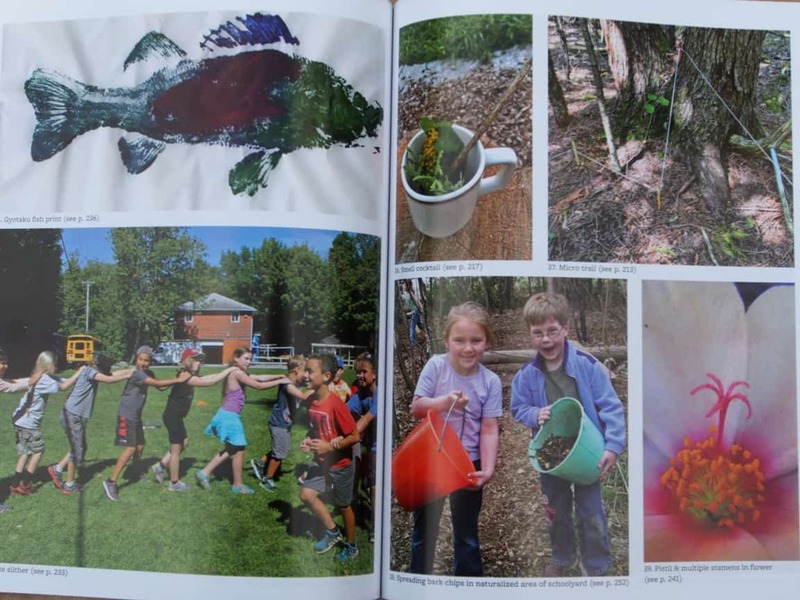 Nature journaling can be a wonderful way to help children develop a personal relationship with the natural world. It is also a great intergenerational activity when parents, grandparents or teachers do journaling with family members or students. When you are working with children, however, there are a some things to keep in mind: 1. As a rule, encourage the children to do quick, diagrammatic drawings, also known as line drawings. Have them add written notes of the object’s size, colour, interesting characteristics and name if known. 2. Try to limit the time devoted to each drawing and descriptions to no more than ten minutes. 3. Remind the children that they are not doing “art” and do not need to feel inadequate if their drawings are less than realistic. Extra details can always be added when they get home. 4. Before moving on to the next location or subject, you and the children should take a moment to share your drawings and to point out what caught your attention. 5. Over time, you may wish to teach the children some drawing techniques such as perspective, shading and how to capture basic shapes. 6. Return to the same location regularly to increase a sense of belonging to a natural environment and foster awareness of the subtleties of seasonal change. 7. Encourage the children to draw from lying down, sitting and standing. 8. Ask them to record how they feel about what they are observing. 9. You might also challenge the children to have a special place in their journal for their own poetry or personal thoughts about the natural world. 10. Most importantly, let them see you journaling, too! Quick sketches work best. You don’t have to draw the whole bird . Sketch by Kelly Dodge. A love of nature begins in childhood; every boy and girl is a budding naturalist. This should come as no surprise. Up until the agricultural revolution and, later, the emigration into villages and cities, humans grew up and lived in intimate contact with natural environments. Survival depended on detailed knowledge of plants and animals. Although our way of life has changed drastically, these ancestral instincts and affections still live within us. Eric Fromm, a German psychologist, coined the term “biophilic” to describe the innate need that all children have to connect with other species. There is a critical window, however, that must be respected. If children are provided with rich and repeated experiences in nature from early childhood to about 14 years of age, they are far more likely to develop a life-long love appreciation for the natural world. 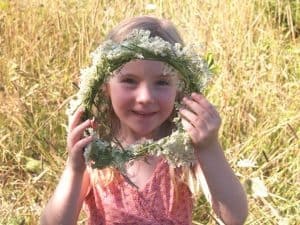 If children spend nearly all their time indoors, however, nature may simply become a backdrop to their lives – a green blur as trivial as billboards, strip malls and parking lots. As Harvard biologist E.O. Wilson writes, being a naturalist is not just an activity but also a rich and honorable state of mind. It is a way of “being” in the world. An ability to recognize and classify different species is seen by many cognitive psychologists as one of the eight major categories of intelligence. We see this intelligence in the young child who can readily identify different farm animals, dinosaurs or even Pokémon characters and car models. How then can adults – be they parents, grandparents, teachers or youth leaders – cultivate a naturalist’s intelligence in every child? If you show enthusiasm for nature, your excitement will be noticed and copied by children. If they see you making an effort to be out in nature, they’ll want to do the same. Open doors but don’t “push them through.” Ultimately, loving nature should never be forced. Good questions inspire curiosity, which is the engine of learning. They also invite other questions. Encourage children to ask why, to marvel and to explore further. Let’s imagine you’re watching birds at a feeder. 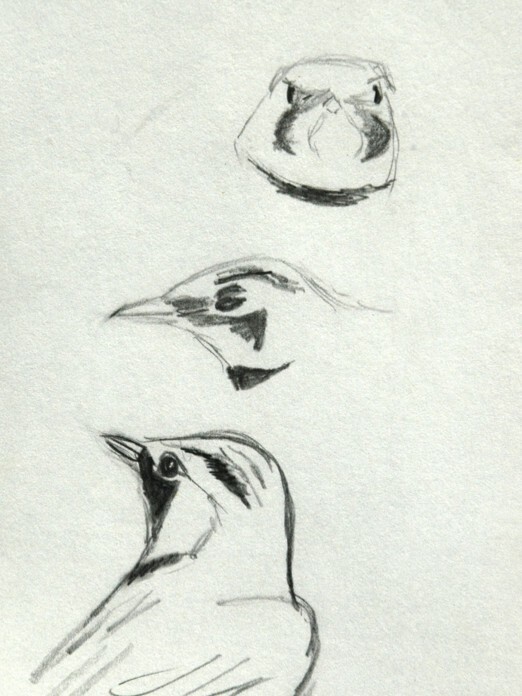 All of a sudden, a nuthatch flies in and begins feeding in their characteristic upside-down position. You might ask, “Why do you think it feeds upside down?” (Scientists think nuthatches can spot food from this vantage point that “right side up” birds like woodpeckers miss.) “Look how long and narrow its bill is. I wonder why?” (to get at food hidden deep in the cracks of bark). Encourage the child to ask why questions, too, and to hypothesize at what the answer might be. If you don’t know the answer either, admit it. Think of this as an opportunity to do some research together. And, if you can’t find the response, perhaps this is something that science cannot yet explain or has never investigated. Remind children that there are many things science does not yet know, and we need more bright young people like them to pursue a career in areas like biology. Play, too, is a powerful teacher, and the natural landscape lends itself to creative play. A stick becomes a magic wand or a sword; a copse of trees becomes a castle. It is through unstructured play that children cultivate their imagination. Being creative, means creating, so let children catch animals, make forts, throw rocks, climb trees, get scraped and dirty, and even disturb nature a bit, on their own and without too much coaching. These experiences are at the very heart of developing a love for the natural world. Children need to “mess around” a lot and do so as much as possible on their own. If it helps, think of the child as a little hunter-gatherer! Not all parents feel comfortable letting their kids roam freely. However, you can take your children outside yourself and be a “hummingbird parent”. Just stay out of the kids’ way as much as possible, so they can explore and play in nature on their own. You can always “zoom in” like a hummingbird if safety becomes an issue. Slowly increase the distance and the kids’ autonomy as time goes by. Kids thrive on autonomy, so don’t be afraid to let them loose sometimes – with a minimum of rules. Allow adolescents to undertake adventures with others such as overnight hiking and canoe trips. Children have a yearning to create dens, nests and hiding places. One of my most memorable experiences of childhood was going into the woods and building small shelters or “forts” as we called them. Children can do so using found supplies from the outdoors or the garage – old branches, sticks, fallen tree boughs with leaves, conifer branches with needles, scraps of lumber, a sheet of plastic, etc. The building process is wonderful for problem solving and creativity. A simple shelter can be built by propping a long pole against a tree and using branches to create a frame on both sides. Pile evergreen boughs and then leaves to cover the frame. For added comfort, pile leaves inside the hut, too. Buy your child a good hand lens (10X), a small compound microscope and, when they are 10 or so, a good pair of binoculars. Children delight in the very small, from the cells of leaves enlarged by a microscope to the feathery antennae of a moth revealed by a hand lens. Magnified, close-up views provide an entirely different perspective on nature. Teach them how to use binoculars to view birds, butterflies, dragonflies and the night sky. Set up a terrarium in your home or classroom. A terrarium is basically an aquarium that is filled with plants, soil and rocks suitable for terrestrial creatures. Allow your children to bring home “pets” for a few days – caterpillars, frogs, salamanders, insects, etc. Alternatively, buy an ant farm. Ants are fascinating to watch. Create a collection table on which the children can display their discoveries, – feathers, flowers, seeds, cones, galls, skulls, dead insects, nests, etc. Add new items as the seasons change. Encourage your child to take part in junior field naturalist activities, such as those provided by the Peterborough Field Naturalists. Go to peterboroughnature.org/junior for more information. Take your child to the zoo. Pick a particular animal for focused observation instead of just wandering passively through the exhibits. Visit natural history museums, too, such as the Royal Ontario Museum in Toronto and the Canadian Museum of Nature in Ottawa. Go camping. Being outside for 24 hours a day allows you to see and hear things you will otherwise miss. Positive camping memories will make it much more likely your child will want to camp as an adult. From the freedom to explore nature and the knowledge acquired largely by personal initiative come self-confidence, lifelong enjoyment of the outdoors, and a desire to protect our natural heritage. What more could we ask for our children and for the good of humanity? 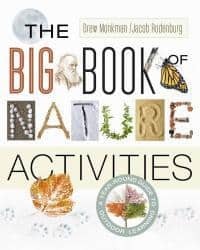 You will find many more ideas for connecting kids to nature in “The Big Book of Nature Activities”, which I wrote with Jacob Rodenburg, executive director of Camp Kawartha. How do we raise engaged and concerned citizens in the 21st century? How can we teach our children to care for each other as well as the land, water and other species? Who will be the conservationists of the future when the average child can identify over 300 corporate logos, but only 10 native plants or animals? Warning signals are everywhere these days that something is wrong. Psychologists are pointing to a near epidemic of mental health issues, ranging from anxiety in children and teenagers to alienation and depression in adults. In classrooms across Canada, there has been a surge in the number of children with special needs such as attention deficits and anti-social behaviour. Health care providers have grave concerns about children’s fitness levels and the huge increase in obesity. An increasingly sedentary, indoor lifestyle characterized by too little physical activity and too much screen time means that today’s children may be the first in generations to not live as long as their parents. 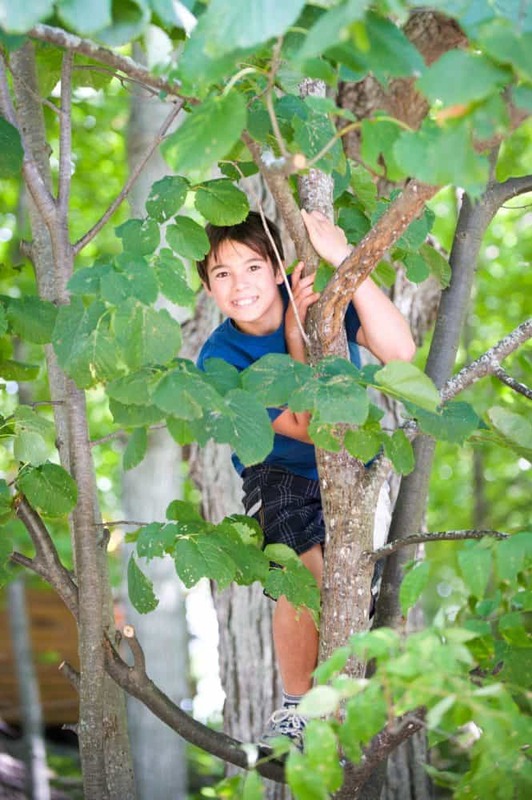 Much of the research into the causes and potential solutions to these problems is coming to similar conclusions, including the importance of opportunities to play and explore freely in natural outdoor environments. Among the many benefits of playtime spent in nature are stress reduction, improved mental and physical health, greater creativity, enhanced concentration and conflict resolution skills, higher self-esteem, better problem-solving abilities and a life-long interest in learning. Providing children with regular positive experiences in the natural world, especially at a young age, is also a powerful way to stimulate a sense of community, of belonging, and a sense of responsibility towards the world around them. By engaging in simple, age-appropriate acts of stewardship, we inspire advocacy for both the human and land community. Sadly, most childhood experiences in the modern world push children in the opposite direction. Their days are pre-scheduled from the time they awake; we drive them to and from school; and, for “safety’s sake”, we’ve made our schoolyards and many of our parks into sterile environments with little opportunity for creative play or interaction with nature. Our exaggerated sense of risk, often fueled by the media focus on rare incidents of child abduction or abuse, results in unintentional but long-lasting harm to children. It’s no wonder that so many young people today are fearful of strangers, intimidated by nature and feel powerless and disconnected from the world around them. The Pathway to Stewardship strategy is a community response to these issues, which will be strengthened from further ideas and feedback. Grounded in research in child development and educational theory, it includes many concepts that echo Indigenous knowledge. It is also informed by the thoughts, ideas and insights of local educators and environmental leaders. The strategy sets benchmarks or specific achievements based on the developmental needs and abilities of children from birth to late teens. For each age group, important principles are provided – many of which apply to all ages – that underpin the benchmarks. All of these integrate with the Ontario School Curriculum. Most importantly, the document identifies local resources to support the achievement of each benchmark. For children four to five, for example, an important principle is developing a sense of the awe and wonder of nature by being outdoors in all seasons. The corresponding benchmark is to visit a favourite outdoor location each week in all seasons. 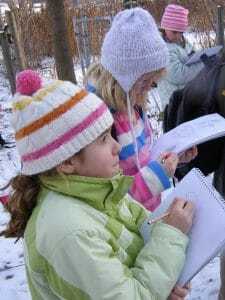 Two simple activities that support the benchmark are participating in nature scavenger hunts and creating a nature table to which items are added each season. Resource providers range from the Peterborough Junior Field Naturalists and Riverview Park and Zoo to the Camp Kawartha Summer Kindercamp. For children 10 to 11, a core principle is expanding their understanding of the relationships between living things and their habitats. The related benchmark is to explore biodiversity by discovering what lives in a wetland. One suggested activity is to visit a pond and, using a net and magnifier, to try to find at least 10 different organisms that live there. The long list of community resources for this age group includes Kawartha Pine Ridge Public School Board Outdoor Education Centres and the Ontario Federation of Anglers and Hunters (OFAH). For 16 and 17 year olds, a key principle is the importance of challenging outdoor recreation experiences. The benchmark for this principle is to organize and go on an extended trip (e.g., canoe, hiking) in a wilderness area for at least five days. Activities include planning where and when to go, the gear and food you will need and safety concerns that should be considered. Several key community resources for this age group are Camp Kawartha, Ontario Parks, the BIKE Community Cycling Hub and the Canadian Canoe Museum. A key component of the Pathway to Stewardship is that everyone in the community has a role to play in fostering tomorrow’s stewards. To this end, the steering committee hopes to seek official endorsement from local groups and agencies such as those mentioned above. Each will be asked how they can support the plan. Gaps in existing resources will also be highlighted. This latter point is especially important, because it will identify a “wish list” of key supports and projects. For instance, these could include a list of local natural areas suitable for visits by the general public and accompanied with maps; access to stewardship mentors and role models (supportive mentors are critically important to help children enjoy outdoor time); designated “nature play” areas on public and private land (such as the one at the Camp Kawartha Environment Centre); training opportunities for parents, teachers and caregivers to facilitate creative outdoor play; and a series of regular neighbourhood walks throughout the community. Peterborough is rich in community resources when it comes to experiencing and learning about the natural world. This wealth is reflected in the makeup of the steering committee that guided the writing of the draft document. There is representation from both local school boards, Trent University’s School of Education, Otonabee Region Conservation Authority, Peterborough City-County Health Unit, Sir Sandford Fleming College’s Early Childhood Education program, Riverview Park and Zoo, Camp Kawartha and Kawartha Land Trust. The lead researcher is Cathy Dueck, an environmental and landscape educator and founder of Peterborough GreenUp’s Ecology Park. The committee interviewed more than 75 community leaders from a wide variety of sectors to learn what childhood experiences helped promote their own love of the natural world. They were also asked for their recommendations on how to best cultivate this love in today’s young people. For more information, email the organizers at peterboroughpathway@gmail.com. There is also a community consultation being held today, April 14, at the Camp Kawartha Environment Centre (2505 Pioneer Rd., on the Trent University campus). The first session is from 3-5 PM, and a second from 7-9 PM. Everyone is welcome to come and hear about the project and discuss its implementation.